THEN: The San Francisco Municipal Railway Fillmore Car Barn and Powerhouse was one of the largest electric substations built at the beginning of the 20th century when horse-drawn streetcars were being replaced by electrically powered streetcars. 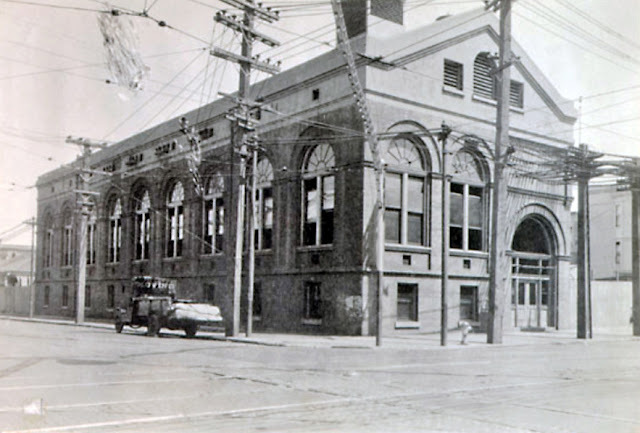 This substation initially provided electrical power to the Fillmore streetcar line. 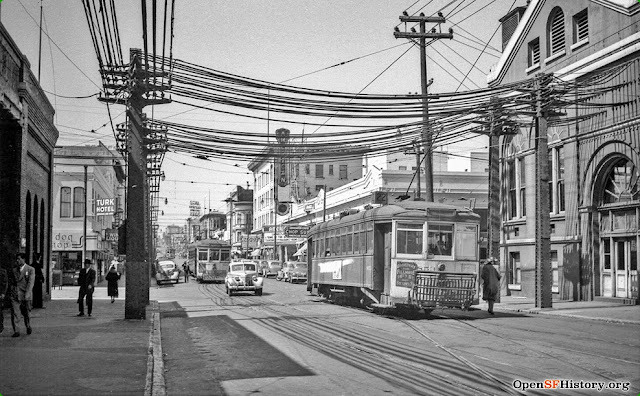 By 1978 this substation supplied electric power to all streetcars operating in the western portion of San Francisco. The photo was taken in 1906 shortly after the 18 April earthquake. 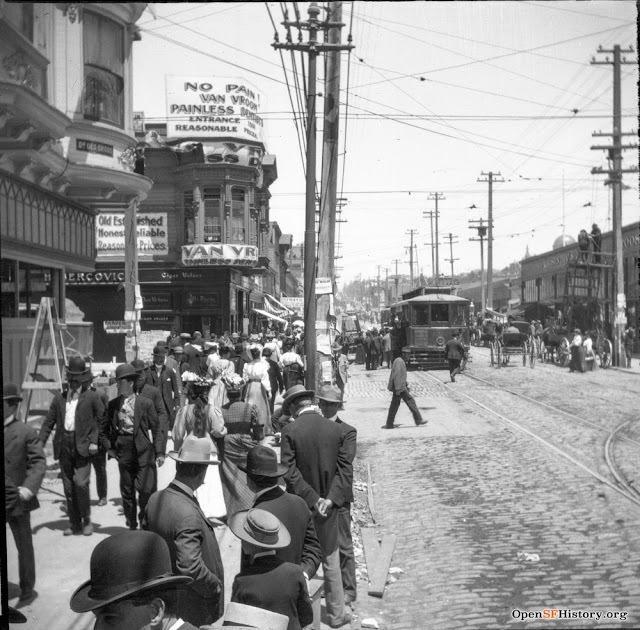 After the quake, the Fillmore streetcar line was the first to go back in service. The building was constructed in 1902; the view is looking northeast. 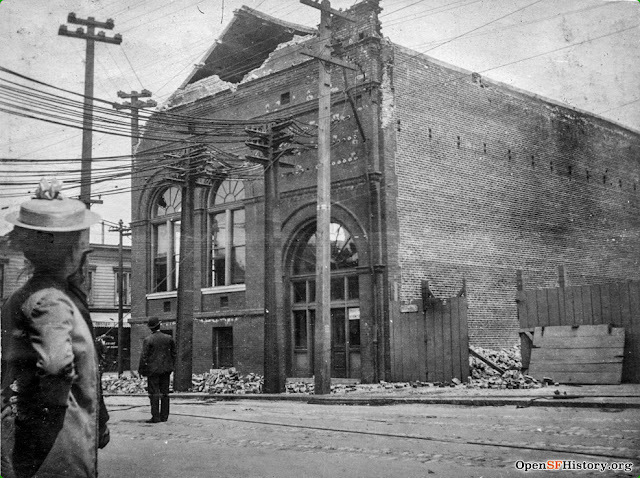 THEN: This photo of the electric substation shows the building shortly after the earthquake. The picture was taken at the intersection of Turk Street and Fillmore Street. THEN: Here is an additional photograph of the Fillmore electric substation; it was taken in 1921 after the building had been lengthened. 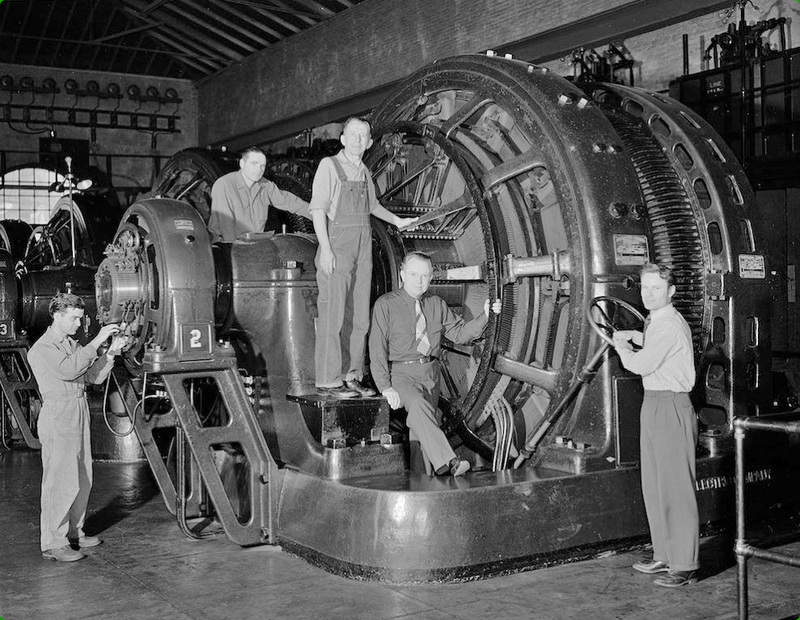 THEN: This picture was taken inside the electric substation in 1948. Some of the employees are posing on and around one of the General Electric power transformers which are located within the building. 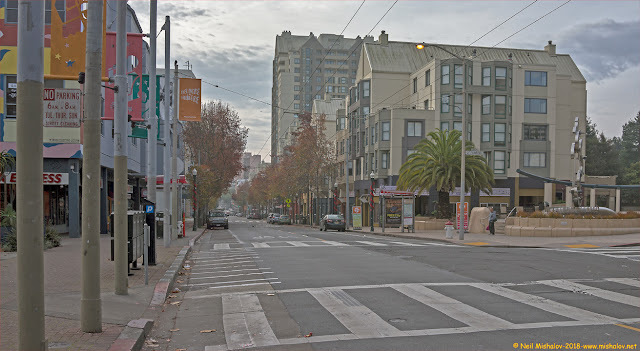 THEN: This is a view looking north on Fillmore Street. The power substation can be seen on the right. There are many large size electric power lines entering the building. Two 22-Fillmore streetcars are visible in this 1947 photograph. NOW: Here is a current view of the electric substation. 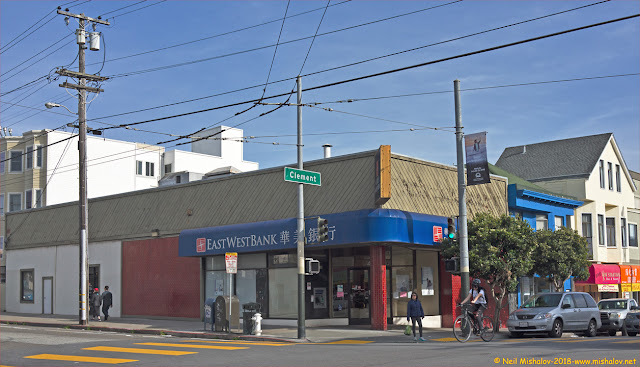 It is located at 1190 Fillmore Street and was operational until 1978 at which time a new substation was built at a different location. The building has been vacant and unused since then; its future is unclear. 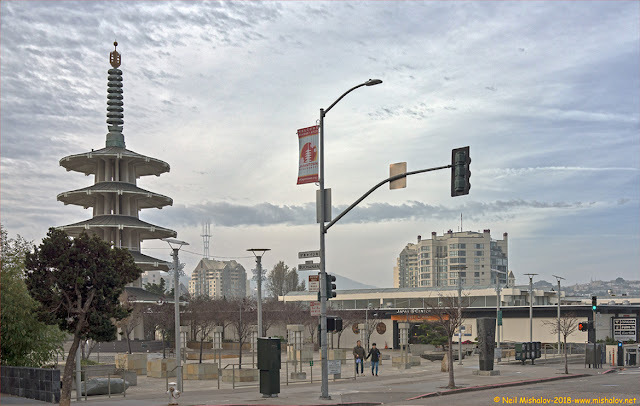 This electric substation is San Francisco Landmark #105. 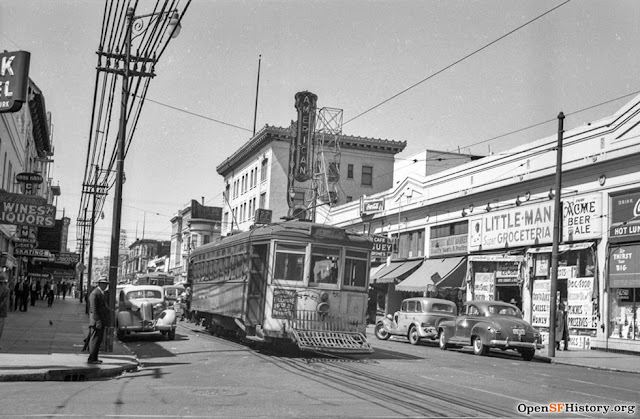 THEN: A Fillmore-22 streetcar is heading south on Fillmore Street; noticeable behind the streetcar is the American Theatre's vertical signage. This photo is circa 1947. THEN: The American Theatre opened in 1915 at 1226 Fillmore Street. It was initially known as the Lyric Theatre. 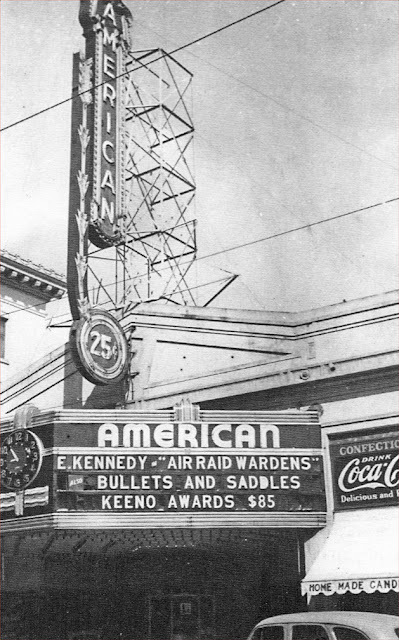 In 1925 it was renamed as the American Theatre. The theatre continued to show movies until 1959 as a low-priced, family-orientated neighborhood film house. After which it was occasionally used for live shows. 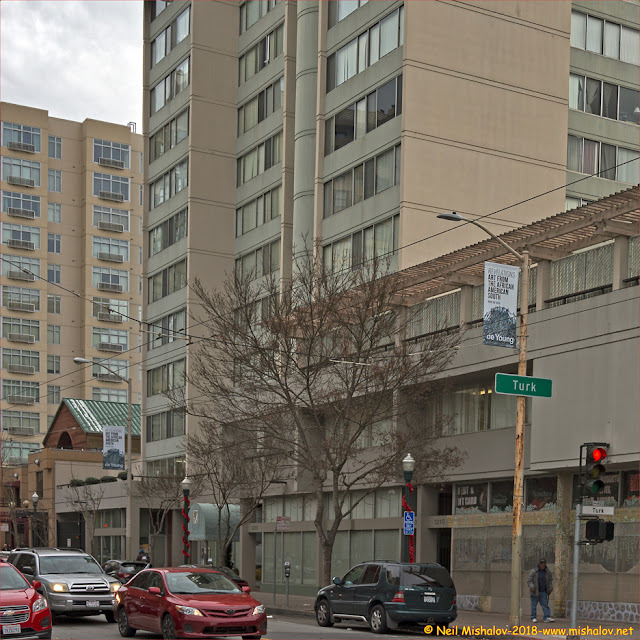 It was eventually demolished circa the 1960s when the area was redeveloped with multi-unit housing. This photo was taken in 1943. NOW: This picture was taken on the1200 block of Fillmore Street. There are numerous multi-unit apartment buildings located on the street. THEN: This is the Progress Theatre. It opened in 1911 at 1525 Fillmore Street and closed in 1925. 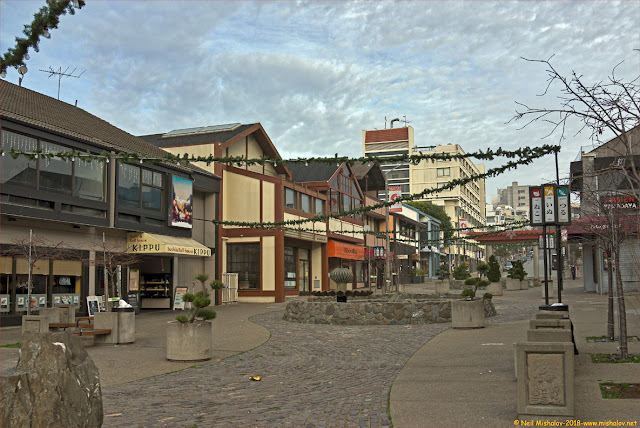 It is a forgotten relic of Fillmore Street's history. The 'Mystery of Richmond Castle' was playing in the theatre when this photo was taken circa 1914. NOW: The Progress Theatre building was demolished, and the site is currently occupied by an office building with a retail store frontage. The brick building to the right has a fascinating history: The building, which was built in 1912, was initially named Majestic Hall. 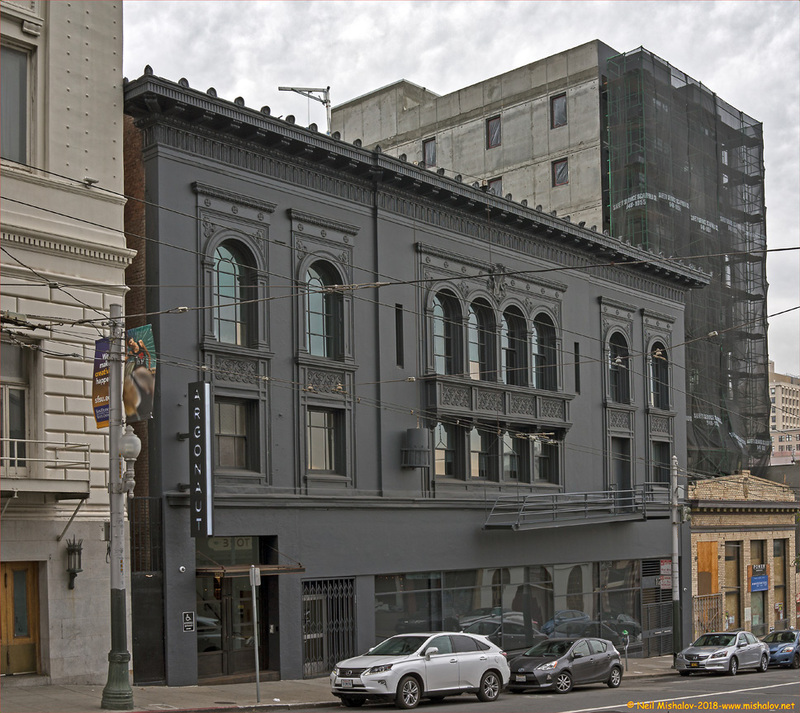 NOW: Majestic Hall was renamed the Fillmore in the 1950s, and in 1965 Bill Graham started to book shows at the Fillmore, and the venue became a focal point for psychedelic music in San Francisco. Bands such as The Grateful Dead, Jefferson Airplane, The Doors, Jimi Hendrix Experience, The Who, Led Zeppelin and Pink Floyd all played at the Fillmore. 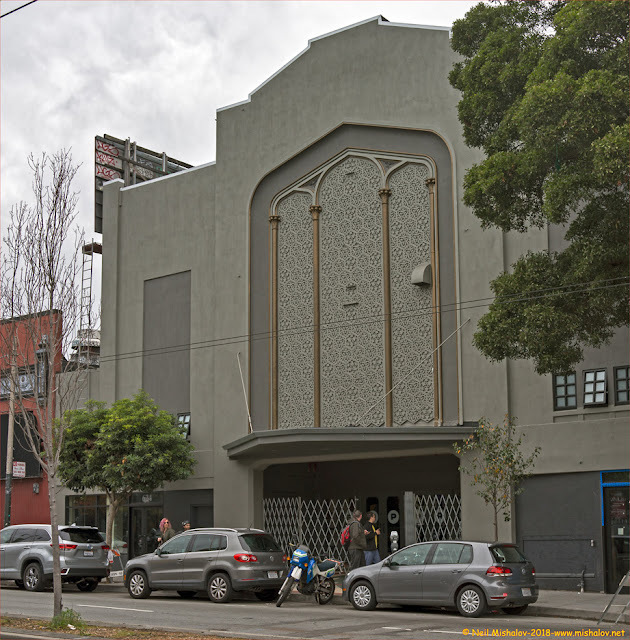 THEN: The New Fillmore Theatre opened on 4 October 1917 at 1329 Fillmore Street. The theatre closed in 1957. 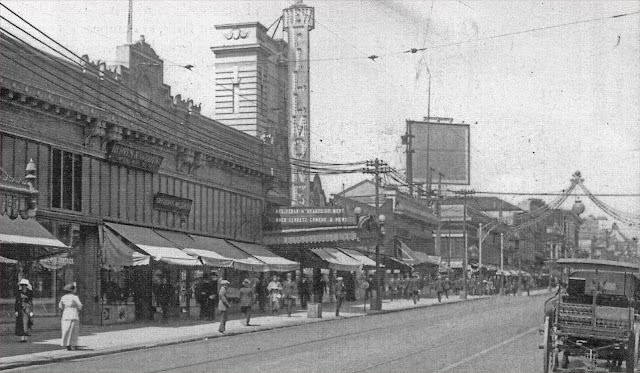 After standing vacant for many years, the theatre was demolished in the 1970s when the area was redeveloped. 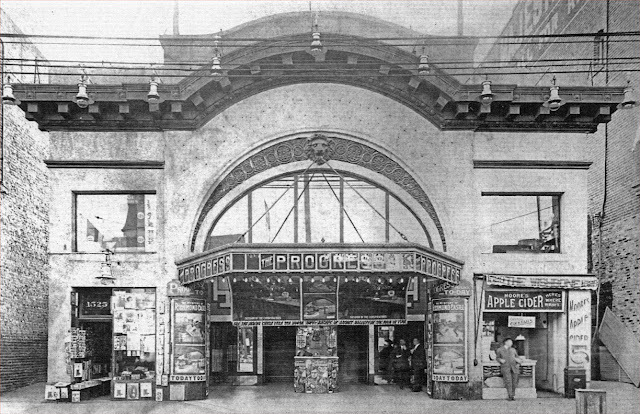 The movie 'The Hearts of Men' was showing at the theatre when this picture was taken circa 1918. The view is looking southeast. 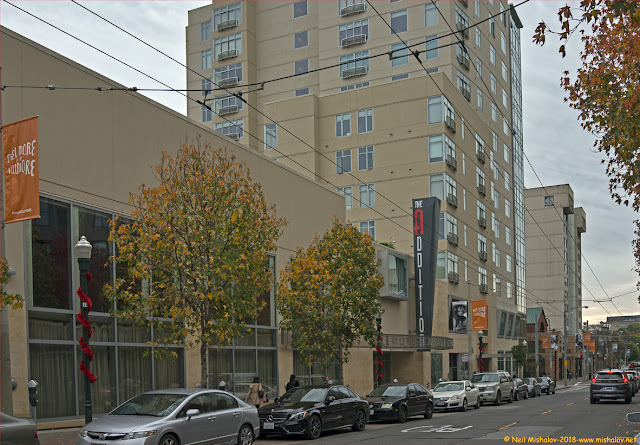 NOW: This is the location of the New Fillmore Theatre as seen today. THEN: This is a view of Fillmore Street near O'Farrell Street as seen in 1908. There are an unusually large number of people seen in this photo. Here is a possible reason for the large number of people: This photo was taken approximately two years after the 18 April 1906 earthquake and fire. More than 300,000 people living in San Francisco became homeless due to that catastrophe. Some of the people who lost their homes relocated to other communities in the San Francisco Bay area, and some moved out of the locality. 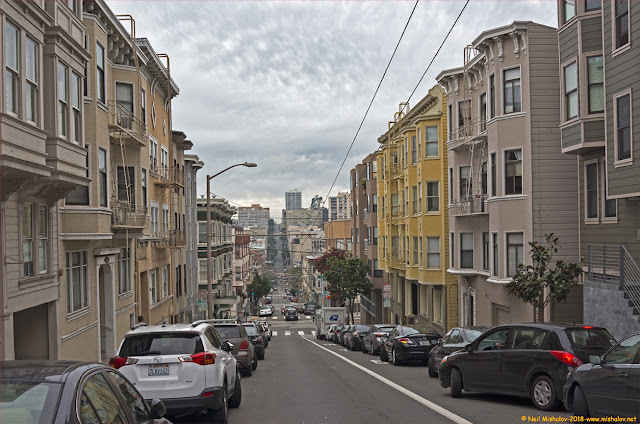 The majority of displaced San Francisco residents moved to sections of San Francisco that were not destroyed in one of the fires that demolished a significant portion of the city. 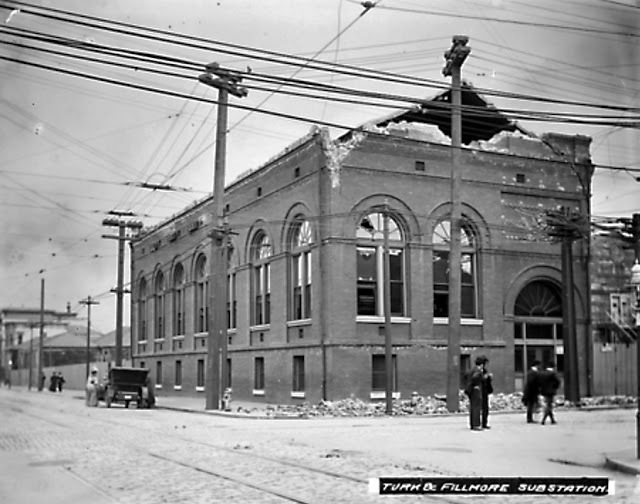 The Fillmore area was not severely damaged by the earthquake or the fires, and many people who lost their homes moved here after April 1906. NOW: This is a current view of Fillmore Street near O'Farrell Street. THEN: The Harding Theatre opened on 8 May 1926 at 616 Divisadero Street. This photo was taken in 1941. 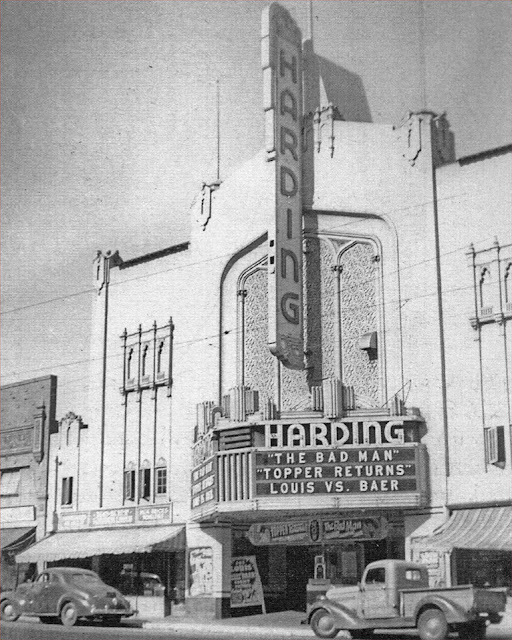 Playing in the theatre at that time, in addition to 'The Bad Man' and 'Topper Returns' was a short film showing the boxing match between Joe Lewis and Buddy Baer which took place on 23 May 1941 in Washington D.C.
NOW: The Harding Theatre stopped showing films in the 1960s, after which the theatre was taken over by the Lamplighters as the home of their Gilbert and Sullivan operettas. The theatre then served as a church for many years. It now stands vacant, and its future is unclear. THEN: The Royal Theatre opened on 6 September 1916 at 1529 Polk Street. It was remodeled during the mid-1930s. 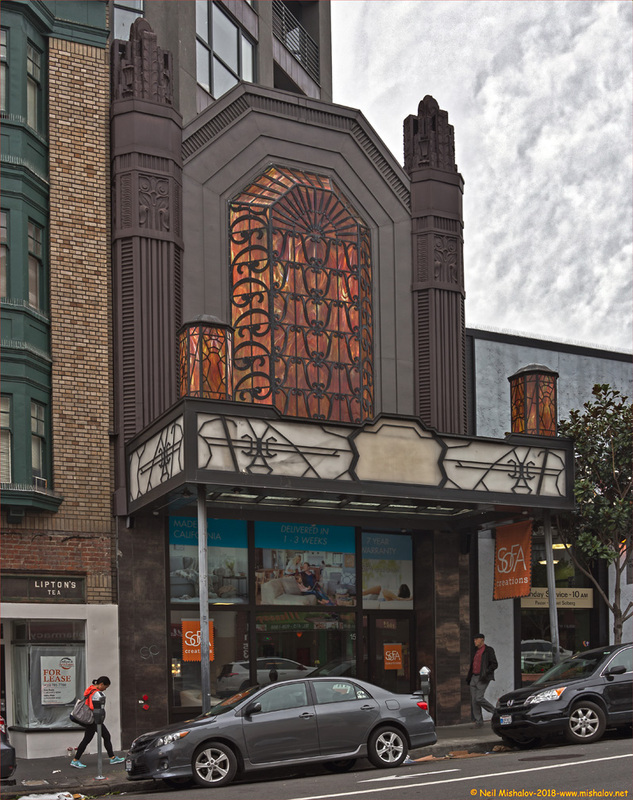 The Nasser family owned this theatre in addition to owning the Castro Theatre and the Alhambra Theatre. This photo was taken in 1994. NOW: The Royal Theatre was demolished in June of 2003, except for the facade which was incorporated into the housing that was constructed on the site. THEN: The Regency I Theatre was located at 1320 Van Ness Avenue. 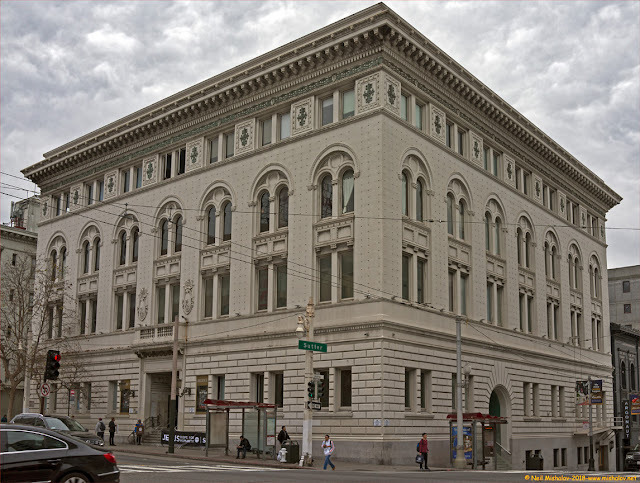 The building was initially occupied by the members of the first Scottish Rite Temple located in San Francisco. Construction of the building was completed in 1909. The theatre opened on 22 December 1967. 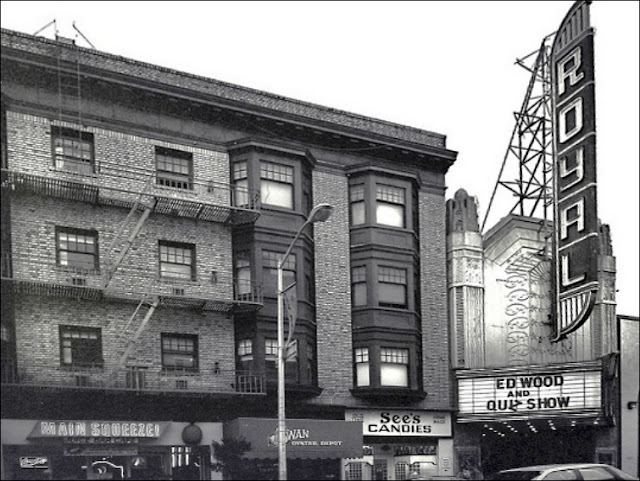 It reigned as one of San Francisco's leading first-run theatres for thirty years. The theatre closed on 7 November 1998. This photo is circa 1979. NOW: Here is the building today. 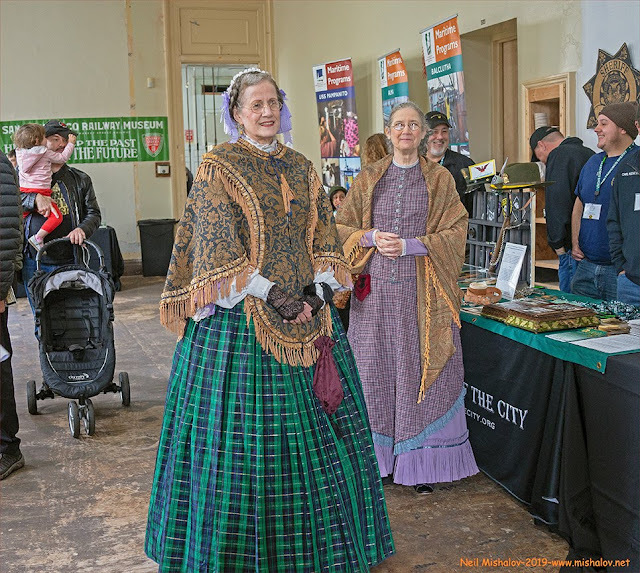 It is now known as the "Regency Center" which is a multi-use events venue. THEN: This building is located at 1268 Sutter Street, and it was built in 1911. The building was initially known as the "Academy of Dance." In the 1960s the building became known as the Avalon Ballroom. 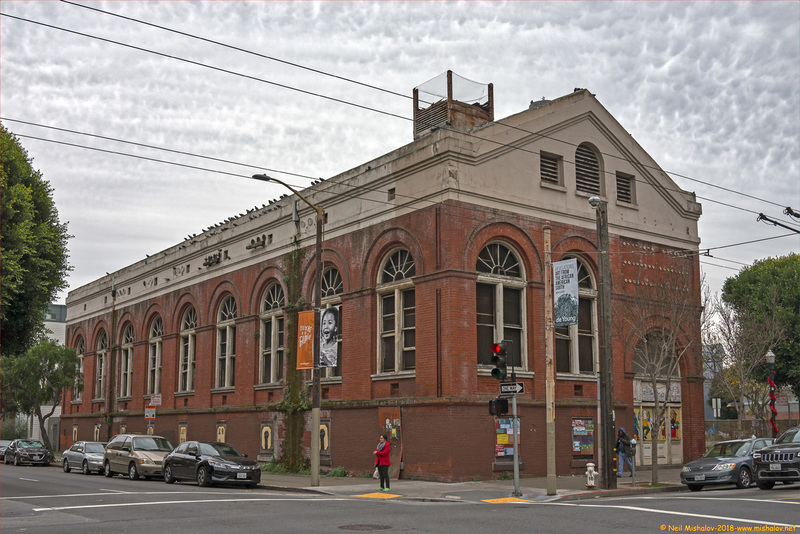 Many local bands played at the Avalon Ballroom. 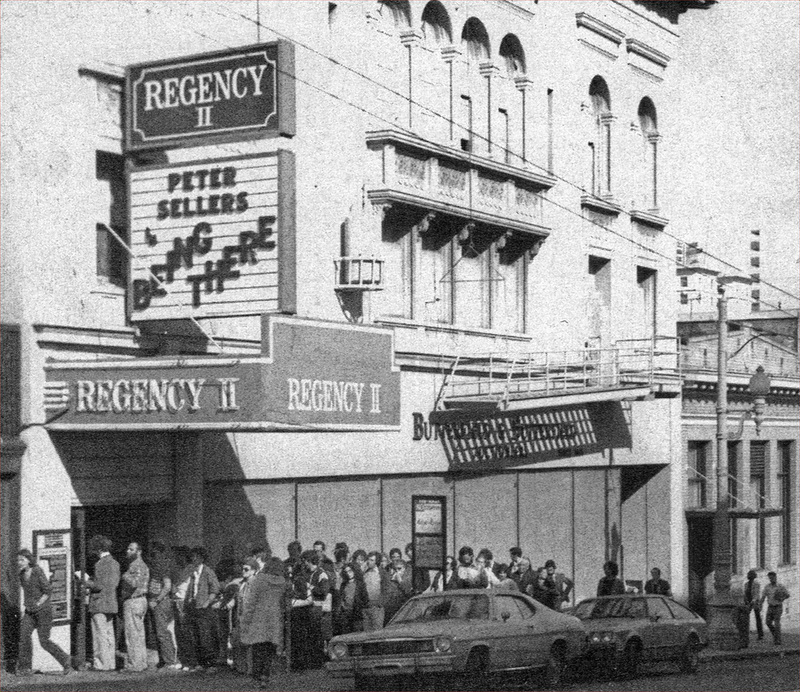 The Grateful Dead played at the Avalon twenty-nine times from 1966 through 1968. 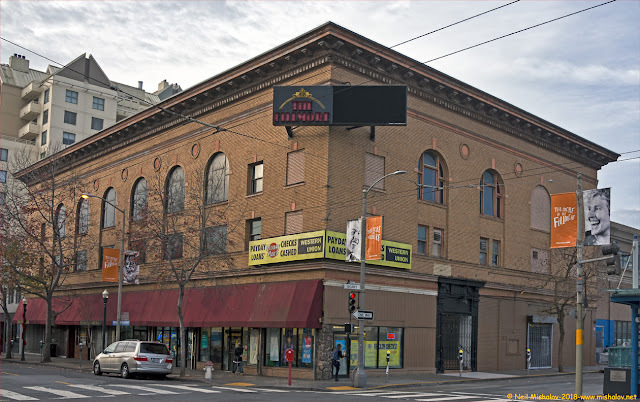 The Avalon Ballroom lost its lease in November 1968. At that time the building was converted to the Regency II Movie Theatre. 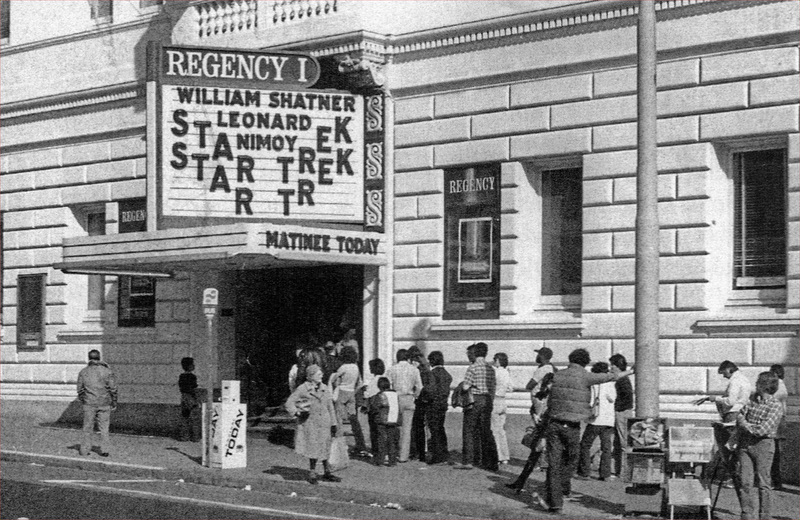 The Regency II theatre closed on 26 March 2000. This picture was taken in 1979. 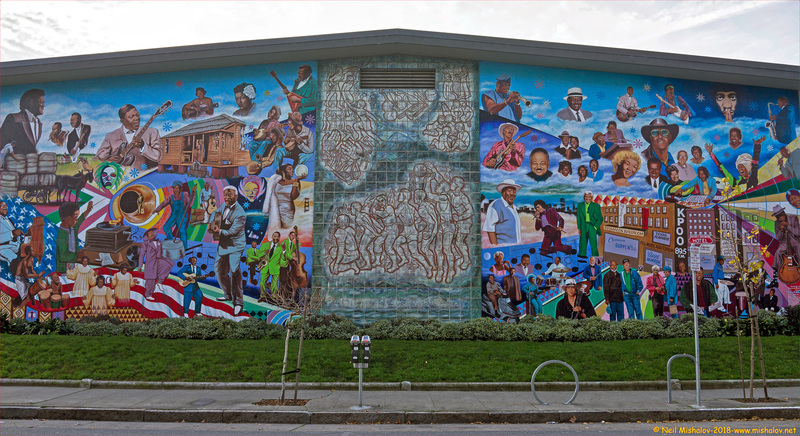 NOW: In 2003 the building was re-opened as the Avalon Ballroom and held 70 plus concerts between 2003 and 2006. 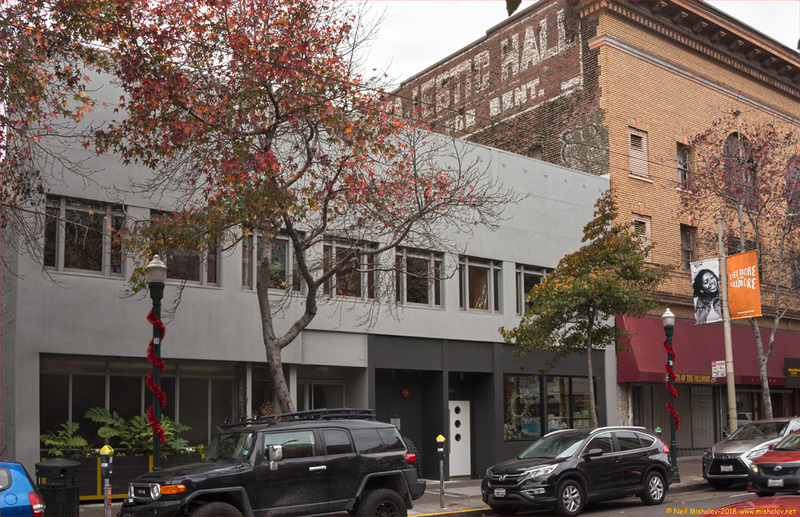 It is currently the office location of the Argonaut advertising agency. 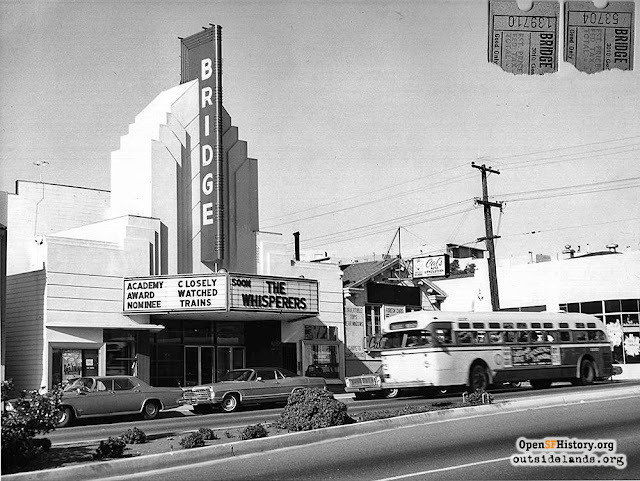 THEN: The theatre opened on 21 July 1939 The name Bridge was chosen to honor the newly built Golden Gate Bridge which opened in 1937. 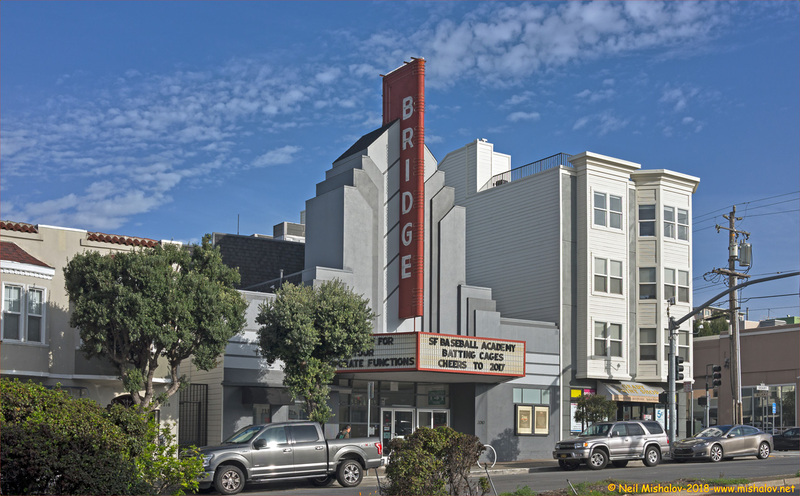 The theatre's last owner announced the closing of the Bridge in December 2012. NOW: San Francisco Baseball Academy is now located in the old Bridge Theatre. THEN: The Palm Theatre was originally opened as a nickelodeon on 9 November 1907. 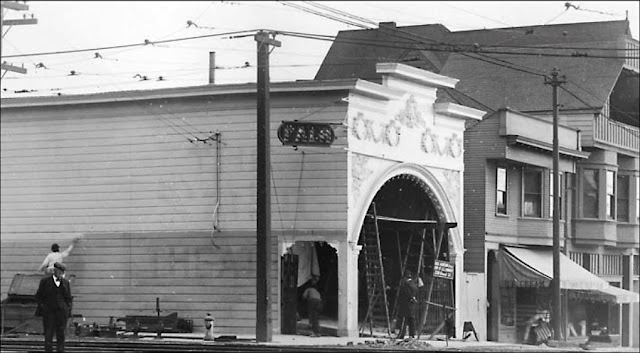 The imminent arrival of the Coliseum Theatre a few blocks up Clement Street caused the Palm Theatre to close in 1918..
NOW: East West Bank currently occupies the site of the Palm Theatre. 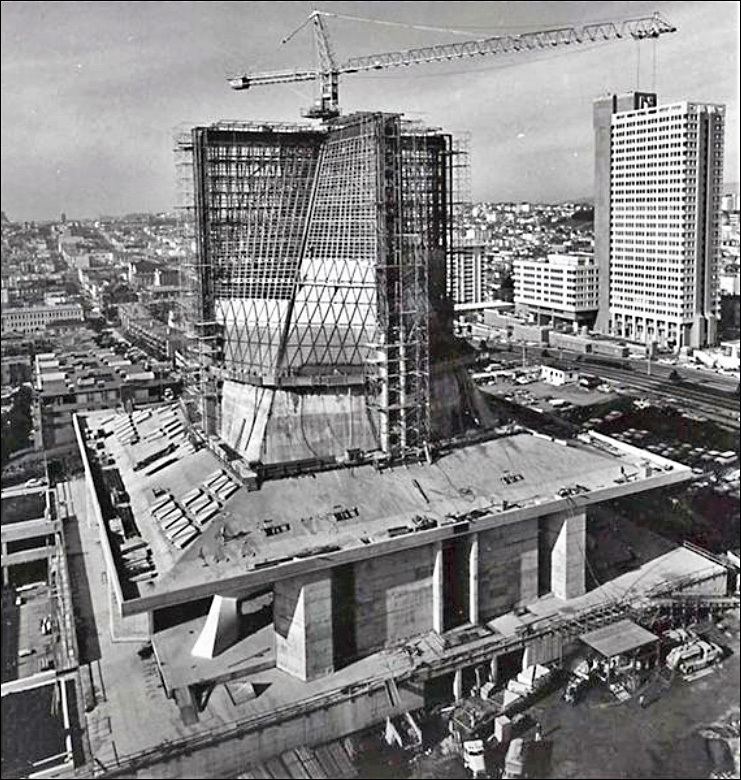 THEN: The is a picture of Saint Mary's Cathedral during its construction. 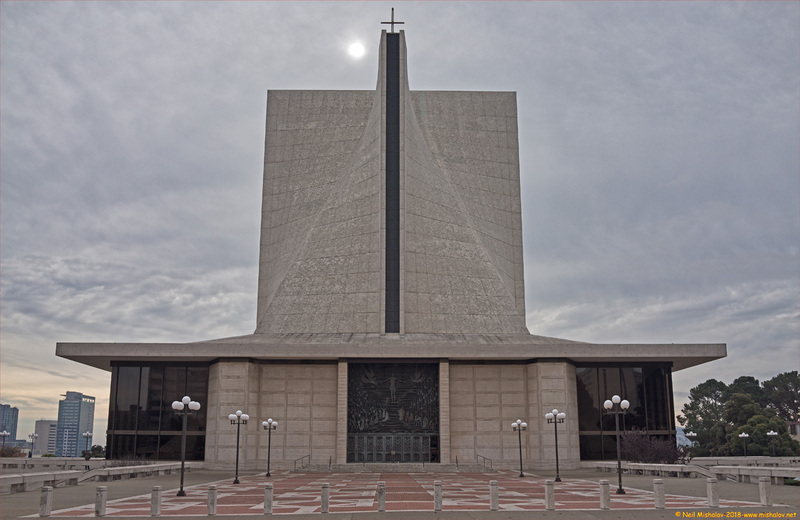 The church is located at 1111 Gough Street. 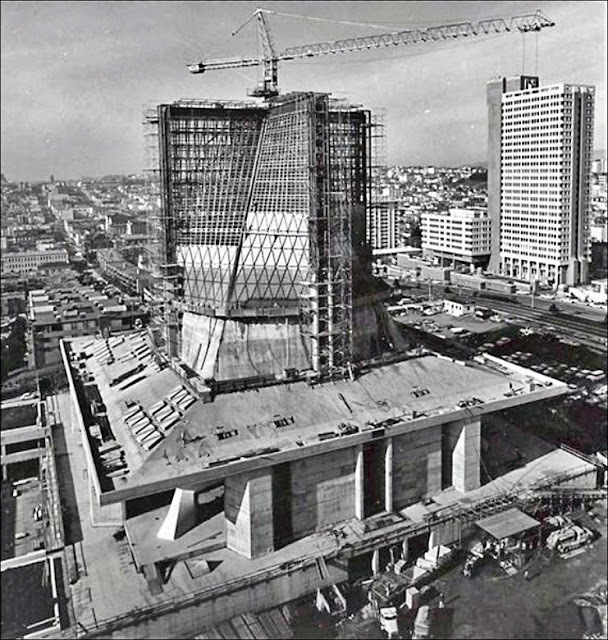 This image is circa 1969, and the view is looking west. NOW: Saint Mary's Cathedral as seen from Gough Street. NOW: This is a view looking west down Sacramento Street. The cross street is Hyde Street. NOW: This is a view looking south from Nike Missile launching site SF-89L which was located in the Presidio of San Francisco. Nike Missile radar acquisition site SF-89C was sited on the summit of Mount Sutro, seen in the distance. NOW: Hamilton Park street mural. 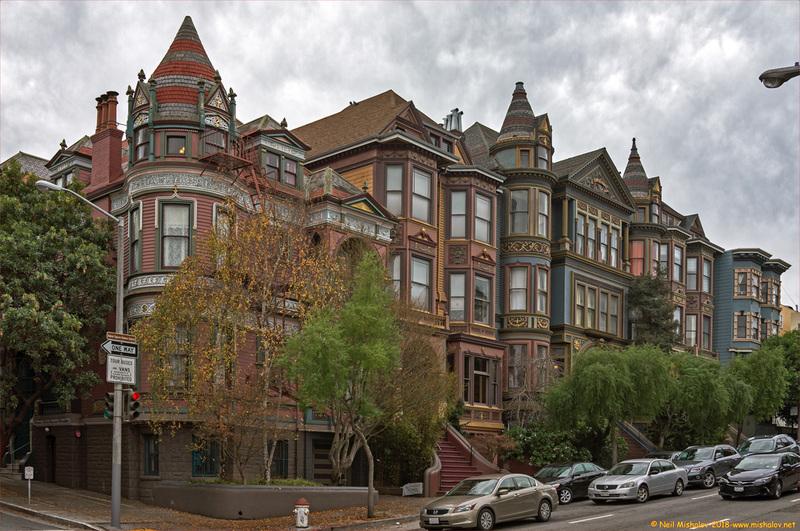 NOW: These gorgeous Victorian homes are located on Golden Gate Avenue. The cross street is Steiner Street, and the view is looking southwest.